Cup and Saucer is only one of New York’s longstanding small businesses that have been forced to close in recent years. Venerable institutions such as Del Rio in Bensonhurst and the 53 year old Market Diner in Hell’s Kitchen shut down after decades of serving their communities, forced to close because of high rents and little protections to help them stay in the neighborhood. Newcomers aren’t immune to rent hikes and displacement pressures either. In 2016, Flushing lost one of its core grocery stores, a Met Foods that was replaced by condos. In Prospect Lefferts Gardens, AbunDance Academy of the Arts – a neighborhood dance studio and wellness center – had to close after they couldn’t afford to renew their lease. Countless other small businesses across the city dangerously toe the line between flourishing and disappearing since they operate without a lease, are subject to rent hikes or evictions at any time, and have little protections to ensure their success. With Cup and Saucer and AbunDance gone, parts of a neighborhood disappear. A place to convene and commune fades. And New York City, though it continues to grow and prosper, does so at the expense of its longtime residents and businesses. 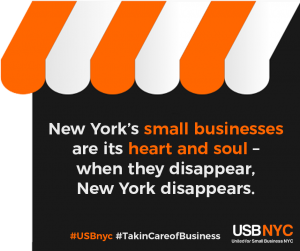 United for Small Business NYC (USBnyc), a coalition of community groups fighting to preserve New York’s small businesses recognizes in its platform that New York City’s true success hinges on ensuring that all its residents have access to opportunity and community resources and that its small businesses have access to protections and city resources. That includes more funding for resources for existing small businesses, fines for landlords who raise rents and then leave vacant storefronts empty, and the creation and maintenance of affordable commercial spaces. 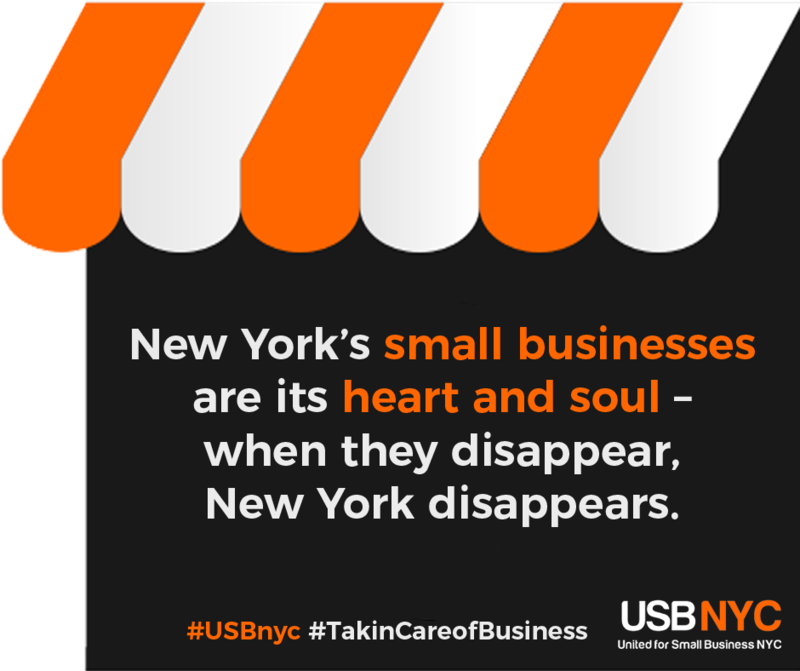 New York’s small businesses are its heart and soul – when they disappear, New York disappears. *An earlier version of this post indicated that the monthly rent for Cup and Saucer increased by $15,000, not $7,600. The restaurant's rent went from $8,200 a month to over $15,000 a month.